Listen to our Live Podcast every Wednesday at 7pm Pacific. We are "A Show for Fans, by the Fans!" 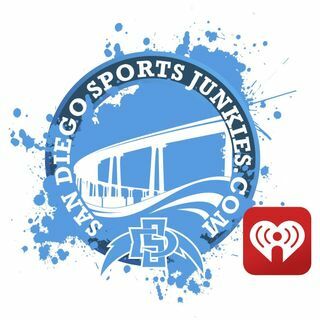 talking Chargers, Padres, Aztecs and anything San Diego Sports! Which Undrafted Free Agent Makes The Club This Season? Padre Talk. Are We Happy Where We Are? Talking Aztecs Mens Basketball, weekly recaps and looking into upcoming games. In-depth look into Aztecs weekly rankings, RPI and recruiting. BoltZone is a Round Table discussion of anything Chargers football. We answer "Your" weekly questions and interact through the chat room. This is your time to "Let your Voice be Heard!" We are "A Show for Fans, by the Fans!" talking Chargers, Padres, Aztecs and more San Diego Sports. Follow up and join the conversation, "Let your Voice be heard!" Join Steve-O & Bram Every Wednesday @ 5:30PM As They Break Down The NFL Fantasy Football Landscape! From Sleepers, Studs & Duds, They Have You Covered! Join the Chat Room During The Show & Let Your Voice Be Heard!